Forensic intelligence links a MI6 traitor to a bank account in Haiti where a case of mistaken identity introduces Bond to the beautiful by feisty Camille (Olga Kurylenko), a woman who has her own vendetta. Camille leads Bond straight to Dominic Greene (Mathieu Amalric), a ruthless business man and major force within the mysterious organization. $67.528 million on 3451 screens. 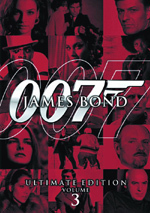 Following the 2002 release of Die Another Day, the Bond franchise took its second-longest hiatus, as we went four years between Die and 2006’s Casino Royale. The latter “rebooted” the series to great success. Not only did Casino earn good box office, but also it proved thrilling and became a fine way to kick-start matters. That reinvention continues with 2008’s Quantum of Solace. Touted as the first-ever Bond sequel, Quantum picks up soon after the end of Casino. Bond (Daniel Craig) pursues those responsible for the death of his beloved Vesper Lynd with a vicious efficiency. This leads him on the trail of a mysterious criminal organization that’s infiltrated even the secure corridors of MI6. Bond learns this when her personal assistant attempts to off “M” (Judi Dench). His travels lead him to Bolivia, where an environmental entrepreneur named Dominic Greene (Mathieu Almaric) plans to help stage a coup to return deposed strongman General Medrano (Fernando Guillen Cuervo) to power. 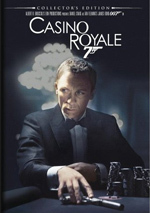 Bond attempts to dig into Greene’s ulterior motives and he also deals with Camille (Olga Kirylenko), a scarred babe with a grudge against Medrano. After the terrific reinvention of Casino Royale, I went into Quantum with high expectations. To refer to Quantum as a major disappointment may be a severe understatement. This must be the most anonymous Bond film of all 22 official entries, as it's almost completely lacking in all the things that make Bond Bond. I fully understand the producers' desire to back away from the campiness that mars many of the series’ flicks, but c'mon - throw us a few Bond bones! They give us nothing. We get an anomymous villain, a one-dimensional "Bond Girl", and many interchangeable action scenes. Bond movies rarely boast great plots, but this one was weaker than usual. The flick alludes to some super-duper organization that spreads its evil all around and can infiltrate even the tightest security. And what does the movie do with this? Nothing. Instead, it concentrates on some tool's attempts to make lots of money from overpriced water in third world countries. Yawn! Yes, I realize that the movie's really about Bond's attempts to figure out who was behind the demise of Vesper, but the filmmakers do a good job of a) making events confusing and b) never advancing that particular plot. Instead, a grim Bond kills a lot of folks - and that's about it. No charm, no panache, absolutely nothing that signifies "Bond". So what's the point? What differentiates Quantum from a Bourne movie or any other generic spy flick? Answer: a hint of the Bond theme, a visual allusion to Goldfinger and that's it. I loved Craig in Casino Royale, but he can't do anything with the part here. Bond is so sullen and dull that he's just a zombie. He wanders through the scenes, shoots and maims, and never does anything more. There's no character depth portrayed; Bond is just a homicidal robot. Can't the producers find a nice balance between the gritty Bond of Casino Royale and the flashier/more outrageous style that marks so much of the franchise? I think they'll need to do so or the series will flail. I can't imagine many folks are going to enjoy Quantum since it just isn't Bond. Royale was a nice reinvention and a way to redevelop Bond. Unfortunately, Quantum squanders all the prior flick's goodwill and does nothing to advance the series. Like I mentioned, I understood the choice to start from scratch and go with a darker, less silly tone, and it really worked for Royale. But at least that flick had some connection to the usual Bond. We got the sense of James as a rough work in progress, so it would've made sense for Quantum to feature his continued development. No, he didn't need to be the fully suave and debonair Bond of most movies, but it would've been good to see him move forward in that department. Give us some clever repartee, a gadget or two - something, anything to signify that this is James Bond. Nope - the oh-so-serious Quantum lives within an official No Fun Zone. Seriously, there's a reason the Bond franchise has endured for more than 45 years: people like the character and all his trappings. If the movies can't demonstrate at least some of the elements that made Bond so popular, what's the point? How bad does this refusal to embrace traditional Bond elements get? So bad that the film names a character “Strawberry Fields” – a serious Bond girl name – but never reveals this as part of the narrative. The movie just refers to her as “Miss Fields”; you don’t learn her quirky first name unless you watch the end credits. Why bother to give a character a name like that and not use it? It’s like the filmmakers want to spite the audience. 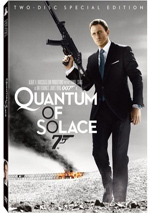 Quantum of Solace appears in an aspect ratio of approximately 2.40:1 on this single-sided, double-layered DVD; the image has been enhanced for 16X9 televisions. From start to finish, the movie boasted an excellent transfer. Virtually no issues affected sharpness. I saw a sliver of softness in some wide shots, but those instances remained minor. The majority of the flick looked distinctive and concise. No issues with jagged edges or shimmering occurred. Both edge enhancement and source flaws also remained absent. With its mix of exotic settings, Quantum featured a wide, dynamic palette. The colors consistently appeared lively and bright, with very good reproduction. Blacks seemed dark and firm, and shadows showed nice clarity and delineation. Overall, I felt very pleased with this terrific presentation. In addition, the Dolby Digital 5.1 soundtrack of Quantum proved to be quite satisfying. As one expects from a Bond flick, the soundfield opened up in a dynamic manner. The many action sequences used the five channels well, as vehicles, gunfire and other elements fleshed out the room in a compelling manner. The track used the surrounds in an involving way and made them active partners in the mix. Most of this set’s extras appear on its second disc. DVD One features a music video for “Another Way to Die” by Alicia Keys and Jack White. It remains to be seen where the song will end up among the history of Bond themes, but right now I think it’s pretty good; it clearly falls below the best but it’s stronger than many of its siblings. The video isn’t particularly interesting, though I’m glad it largely eschews the usual movie clips. DVD One opens with a few ads. We get promos for Valkyrie, The Day the Earth Stood Still (2008), and Australia. The disc also includes both teaser and theatrical trailers for Quantum. 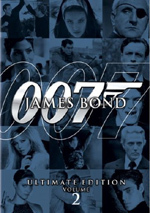 Over on DVD Two, we begin with a 24-minute and 46-second program called Bond on Location. It presents comments from director Marc Forster, producers Barbara Broccoli and Michael G. Wilson, 1st assistant director Michael Lerman, production designer Dennis Gassner, casting director Debbie McWilliams, Panama extras casting Ana Endara, 2nd unit director Dan Bradley, DC-3 pilot Skip Evans, Marchetti pilot Steven Hinton, helicopter pilot Cliff Fleming, executive producers Anthony Waye and Callum McDougall, location manager Martin Joy, observatory director Andreas Kaufer, ESO director general Tim De Zeeuw, aerial coordinator Mike Woodley, ultimate arm driver Dean Bailey, stunt coordinator Gary Powell, Italy line producer Guido Cerasuolo, and actors Daniel Craig, Gemma Arterton, Mathieu Almaric, and Olga Kurylenko. As expected, the show looks at locations and the issues that came with the various spots. The focus allows for side topics like stunts, cast, and a few other bits, but mostly we learn about aspects of the locations. Inevitably, some fluff appears, but the majority of the show offers an interesting look at the challenges related to shooting a Bond flick in exotic locations. Info about the early days of the production shows up in Start of Shooting. During this two-minute and 55-second piece, we get remarks from Forster, Craig, and Wilson. The short featurette shows a little of what the crew did on the first day of production but mostly just serves as an overview of general movie-making bits. It’s too brief to tell us much; it’s just promotional material, really. More footage appears via the three-minute and 12-second On Location. It features remarks from Forster, Wilson, Bradley, Evans, Kurylenko and Arterton. This one acts like little more than a very quick sliver of “Bond on Location”. Like “Start”, it’s a promo piece without much value. Olga Kurylenko and the Boat Chase runs two minutes, 14 seconds and includes statements from Forster, Kurylenko, Powell, and Craig. This one focuses on the new Bond girl and her stunt work. As with the last few, it’s awfully short, but a few decent tidbits emerge. For additional notes about the filmmaker, we head to the two-minute and 45-second Director Marc Forster featurette. It gives us info from Forster, Craig, Arterton, Almaric, Kurylenko, and Wilson. All involved tell us of Forster’s greatness. Yawn. Under The Music, we get a two-minute and 36-second piece with composer David Arnold and musicians Jack White and Alicia Keys. Expect a few minor thoughts about the score and theme song but don’t anticipate anything memorable. Finally, Crew Files breaks into 33 short pieces; taken together, they run a total of 46 minutes, 15 seconds. Across these, we learn a little about various members of the crew. They cover Panama City location manager James Grant, Panama extras casting Ana Endara, 2nd AD Toby Hefferman, DP Roberto Shaefer, Mexico aerial unit pilot Cliff Fleming, production sound mixer Chris Munro, Mexico aerial unit DC3 pilot Skip Evans, executive producer Callum McDougall, European Southern Observatory director general Tim De Zeeuw, Italy line producer Guido Cerasuolo, Bond girls hair/makeup Naomi Donne, Go-Camera operator/rigger Pat Daily, additional unit director Simon Crane, unit nurse Jeanie Udall, first AD Michael Lerman, supervising art director Chris Lowe, stuntman Ben Cooke, Bregenz Festival artistic director David Pountney, 2nd unit production manager Terry Bamber, casting director Debbie McWilliams, Ultimate Arm Camera driver Dean Bailey, actor Anatole Taubman, picture vehicle supervisor Graham Kelly, SFX supervisor Chris Corbould, make-up designer Paul Engelen, supervising sound editor Eddy Joseph, editors Rick Pearson and Matt Chesse, title shoot directors Ben Radatz and Tim Fisher, VFX designer Kevin Tod Haug, singer Alicia Keys, composer David Arnold, and music video director Paul Brown. Woof – that’s a lot of people to cover in a fairly short amount of time! These short pieces originally ran on the movie’s website, and they act as mini-blogs. Each participant tells us a little about his/her job, and we see footage from the shoot. I like the breadth of the information, but the absence of depth makes the clips less than enthralling. Still, they give us enough interesting material to merit our attention. After two screenings, it’s too early for me to rank Quantum of Solace among its Bond brethren in a definitive way. Right now, however, I place it at the bottom. The movie simply lacks any of the qualities that we desire in a Bond film; instead, it provides a forgettable, generic action flick. The DVD provides excellent picture and audio as well as a decent collection of extras. I can’t complain about this release, but the movie offers a serious disappointment.